Whilst driving from the Phalaborwa gate to Letaba Camp in the Kruger National Park I caught a glimpse of this very shy Dwarf Mongoose (Afrikaans name, Dwerg muishond) and managed to get off two quick shots before he disappeared. 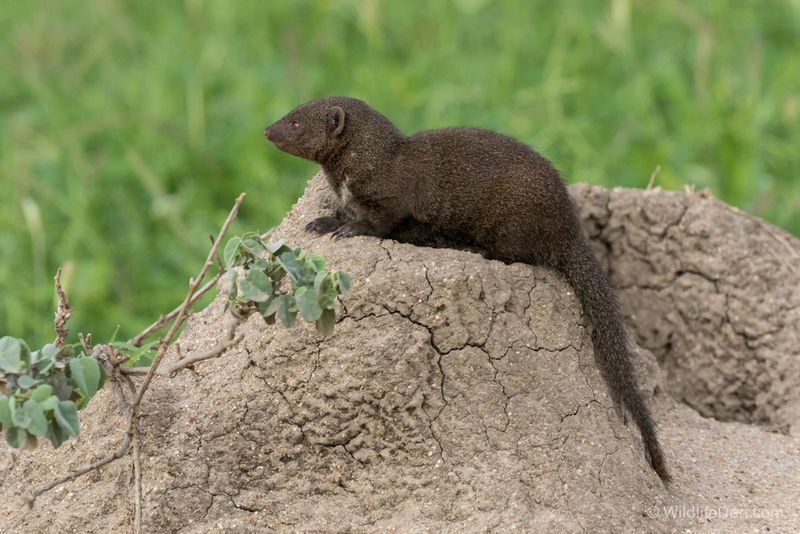 The Dwarf Mongoose feeds on snakes and bird’s eggs, the ggs that are too large to be bitten open are catapulted through their hind legs against a rock until it is cracked open. Is it possible to find a mongoose like this one in a Pretoria garden? I have a feld-like area behind my house on railway property. This is the second time in 3+ years that I have seen this animal.